This is a free app allowing users to edit pictures using Photoshop technology and access them anytime using a free account at photoshop.com. 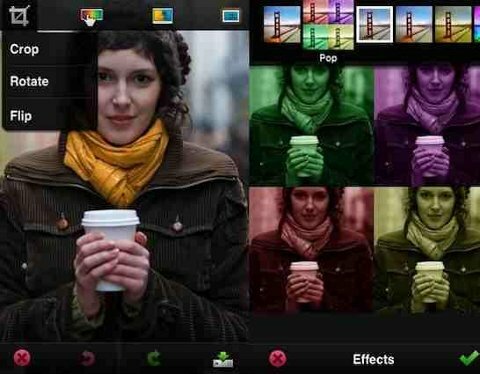 Android tablet users can upgrade to Adobe PhotoShop Touch for just $9.99. This free app provides easy access to all the files stored on the user’s computer from any location. Any file saved to DropBox will automatically sync to all the user’s computers and Android devices, as well as the DropBox website, so app users will never lose a file again. This free app identifies unknown fonts from a picture or iPhone screen shot and provides the user with all the font details. This free app allows the user to monitor several web sites at once, including email communications and alerts. There is also a lite version available with fewer features. Android and iPhone users can obtain these useful professional grade applications from the Android Market and the iTunes Store from their home computers or via mobile broadband on their smart phone devices. Article written by Spencer Hogg from Broadband Expert where great mobile broadband deals can be found. This entry was posted on Tuesday, November 29th, 2011 at 1:23 am and modified by WebMaster View at 1:34 am. You can follow any responses to this entry through the RSS 2.0 feed. Responses are currently closed, but you can trackback from your own site.